The Miyagi prefecture is located in the eastern part of the Tohoku region. The prefecture with plentiful nature is surrounded by the sea and the mountains. 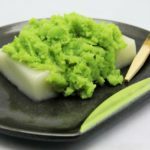 The Miyagi prefecture has a lot of interesting features such as Sendai related to the warlord, Masamune Date where you can shop as well as eat all over, the beautiful nature, a representative of one of the 3 great scenic places in Japan, the nationwide famous hot-springs such as Akiu or Zaoh and the famous gourmets such as the beef-tongue as well as the products from the sea. 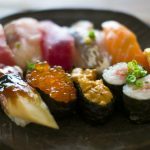 I’m introducing the 10 recommended spots to visit in the Miyagi prefecture. 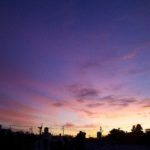 Please check out how to enjoy the attractive Miyagi prefecture before you visit. 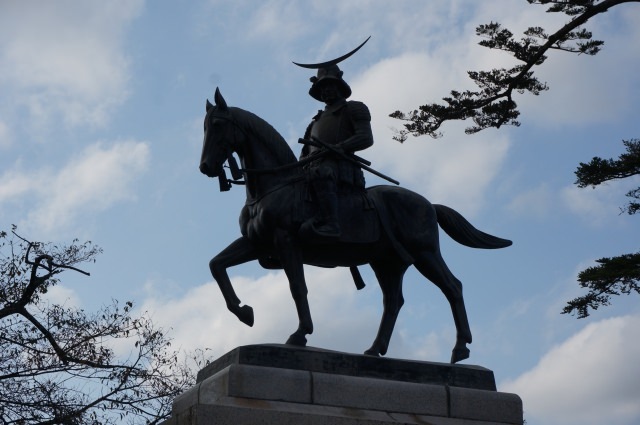 Sendai in which the warlord, Masamune Date had the castle built, is now the central city in the Miyagi prefecture. There are many historic remains related to the Date clan. If you want to visit places confidently, a bus on a circular route named, [Loople Sendai] which starts from the Sendai station is recommended. The ruins of the Sendai castle, built in 1601, are located on Mt. Aoba and are surrounded by nature. It was the castle of the Date clan’s resident and it is a nationally designated historical ruin. The remaining castle ruins is only a part of it, but the equestrian statue of Masamune Date is the usual photo spot as well as the viewing spot to command the townscape of Sendai. You can walk up to the ruins of the castle as well as drive up there. At the attached Aoba Castle Exhibition Hall, the swords and armors have been exhibited. Why don’t you think back to the time of the war period, being comforted by the nature around you? The [Zuihoden] is located at the place which is a 20-minute-ride on a bus on a circular route, [Loople Sendai] from the Sendai station. It is a mausoleum where the 3 feudal lords from the Date clan starting with Masamune Date have been resting. It had been burnt down by the Air-strike, but was reconstructed and the glamorous appearance at the time when it had been founded was brought back to life. The Sendai-city Museum is close by and about 90,000 items have been exhibited and stored including the donated data from the Date clan descendants as well as the historical documents about the Sendai feudal domain. The buildings such as Zennoden and the Kansenden have a historical atmosphere as well. They are worth seeing. 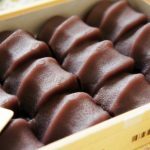 After visiting the historical places, please enjoy the famous products from Sendai such as the beef-tongue and the fresh products from the sea until you are content. Please come just once. The [Sendai Umi-no-mori Aquarium] is a brand-new facility which has just opened in 2015. 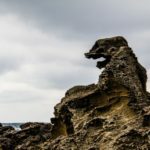 Needless to say, the creatures in the Miyagi prefecture, the creatures all over Japan and many creatures all over the world have been exhibited. The vibrant and lively performance from the dolphins and the eared seals is hugely popular for sightseers. 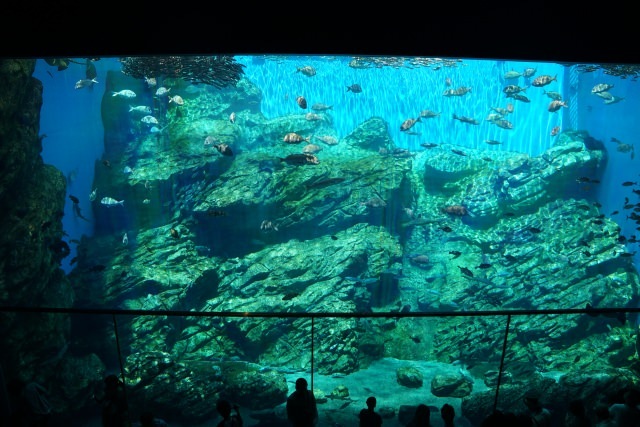 In the gigantic water-tank named, [Inochi-kirameku-umi], a big school of sardine are swimming around vividly is shown a few times per day, which seems very unusual in another aquarium. You can come into contact with the otarias and penguins on the [Kaijuu Square]. When you come to the Miyagi prefecture, please be enthralled by the dynamic and comical phases of the sea creatures. Needless to say, Matsushima is one of the 3 great views of Japan and all sorts of different shaped and sized islands are dotted around in the Bay. It is the scenic beauty which represents not only the Miyagi prefecture but also Japan. It takes 20 minutes from the Sendai station to the Matsushima-kaigan station. When you get off the train, the Matsushima Bay is in front of you. If you would like to enjoy Matsushima in depth, the excursion boat lasting for 50 minutes is recommended. 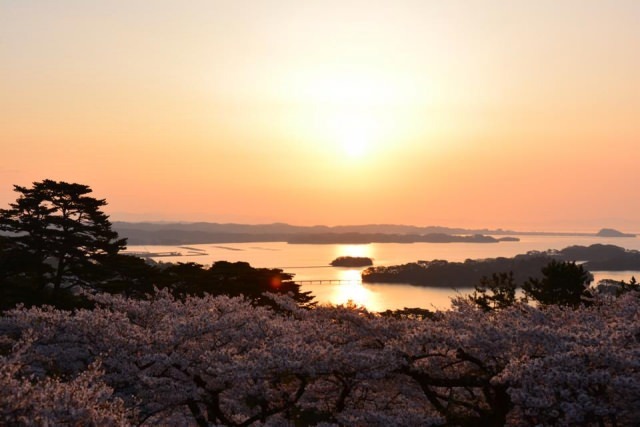 Let’s have a view of the beautiful scenery of Matsushima with the contrast of the sea and the islands from the sea. After the Matsushima sightseeing, please sample the 2 superb gourmets such as the congers and the oysters. 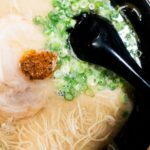 You may get addictive to the conger with the fluffy thick meat and the oyster with the wobbly rich flavour, when you have just one bite. When you visit the Miyagi prefecture, I’d like you to go this spot just once. The [Zuiganji] is the national treasure temple near the Matsushima Bay. In 1609, Masamune Date had the old temple which had been established in the Heian-era reconstructed, taking 5 years. 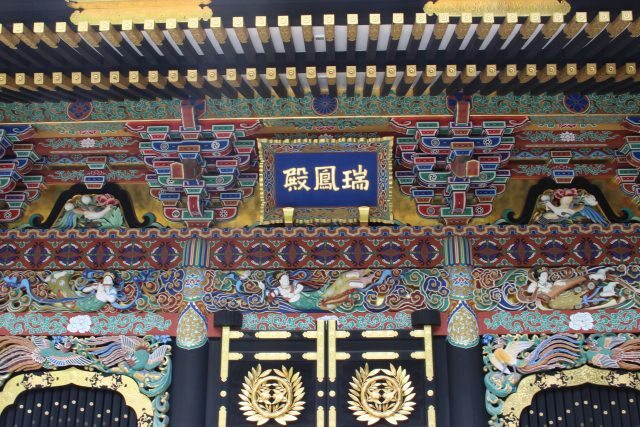 This was the Date clan’s family temple and in the precincts there are the architectures collected from the stylish Momoyama-culture, starting with the main hall and kitchen of the temple. You can see the craftsmen’s skill at every corner. I’m sure you’ll be overwhelmed by the paintings on the papered sliding doors, the magnificent carvings and the flamboyance. The Japanese orchid, dendrobium in full bloom in May will add colour to the precincts. Why don’t you enjoy the art works which represent Japan, here in the Miyagi prefecture? The [Entsuuin] is located close to the Zuiganji-temple. 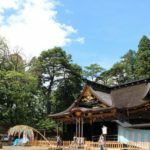 It is the Masamune Date’s grandson, Mitsumune Date’s family temple which has been appointed as a national important cultural property. Without doubt the highlight of this place is its beautiful nature. In the precinct, there is the stone-garden and the rose-garden. Especially, when the trees turn red and yellow, the garden will show its full beauty. It has been known as a match-making temple and the Goddess of the match-making is situated in the precinct. If you are searching for a partner, why don’t you pay a visit to this temple? You can enjoy making your original Juzu (rosary), choosing your favourite beads. 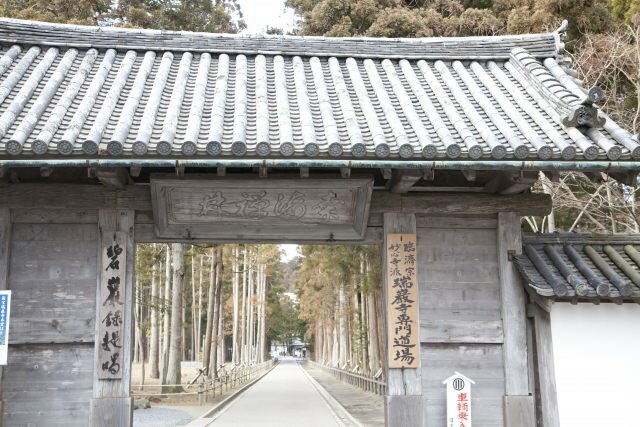 The [Godaido] is also related to the Date clan which is a 5-minute-walk from the Entsuuin temple. 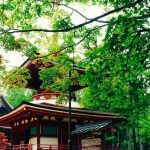 The [Akiu hot-spring] is located at the convenient place which is a 30-minute ride in a car from the Sendai-city and it has been known as one of the well-known hot-springs in the Ohshu district which Masamune Date used to love. 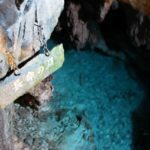 This hot-spring contains salt just like the sea-water and is effective for the dermatitis, arthritis, sensitivity to the cold and recovery from exhaustion. There are many inns which have their proud hot-springs such as the open-air hot-spring near the river or the one from where you can command a view of the mountains from the garden to enjoy the superb scenery at its most beautiful. 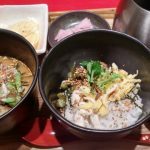 As there is the public bath or the one-day hot-spring, it is possible to enjoy taking a bath on a one-day trip from Sendai. Viewing the seasonal scenery in the Miyagi Prefecture, please relax and enjoy the soak. 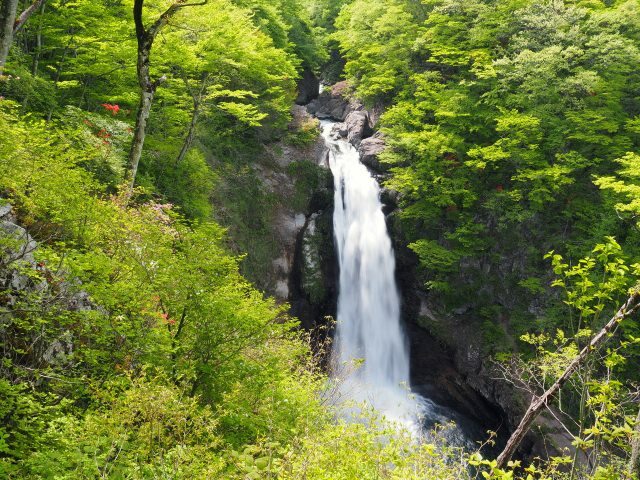 The [Akiu Waterfall] is one of Japan’s 100 top waterfalls. It is an outstanding Fall with a difference in elevation of 55m and a width of 6m. You can view the waterfall which comes down with the roaring sound and the splash from the fall observation deck in the place with the Akiu Waterfall Fierce Buddhist Deity. As you can absorb the plentiful negative ion, you should be refreshed. The 150m-high steep cliff, named [Hutakuchi Kyokoku] and the planetarium, [Sendai-city Astronomical Observatory] are nearby. You can enjoy both of them together with the Akiu hot-spring. Please visit the greatest sightseeing spot in the Miyagi prefecture. 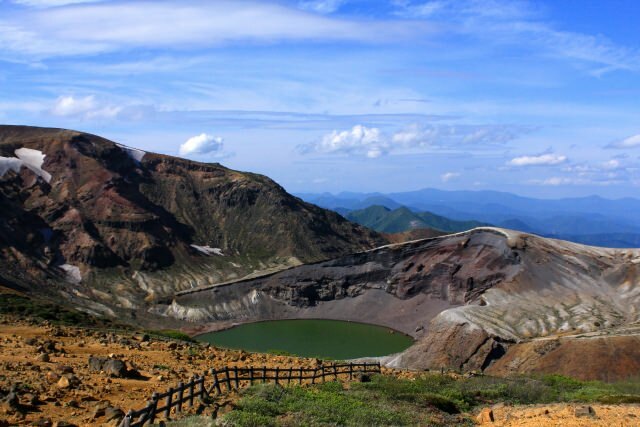 The Zao mountain range between the Miyagi and the Yamagata prefectures is a magnificent and beautiful sightseeing spot. The Echo Line of 45km which stretches from the foot of the mountain up to the summit is a popular driving road with the fresh green as well as the autumnal tints. You can drop in at one of the Japan’s 100 top waterfalls- Sankai Fall, the symbol of Zao- Crater Lake named [Okama] while you are driving. On a fine day, you can see the beautiful emerald-green surface of the crater with perimeter of 1km. At the end of driving, please comfort the fatigue from the trip soaking yourself in the Mammoth open-air Zao hot-spring which can accommodate more than 200 people. Close: The road is closed from early November to late April. 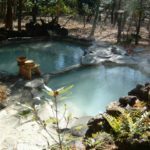 The [Naruko hot-spring] located in the Northern-west part of the Miyagi prefecture is one of the 3 well-known hot-springs in the Ohshu district and is a magnificent old hot-spring. In the spacious hot-spring area, there are the 300 sources of hot-spring water with 9 different qualities, so depending on the inns or the bathing places, you can have a totally different quality hot-water which is characteristic of them. The hot-spring village is large enough to go round leisurely taking 30 minutes. You can enjoy visiting different hot-springs and the famous gourmets. There is a shop where you can experience hand-making [Kokeshi] (wooden doll). 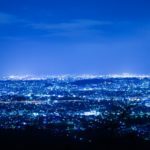 The [Narukokyo] nearby is renown as an autumnal tints viewing spot and you can command the fantastic scenery of the valley from the observation deck. If you would like to take a bath in a hot-spring on your own way, this is the recommended place for you! Let’s enjoy the attractive Miyagi prefecture with all its attractions! How did you find the 10 selections of the sightseeing spots in the Miyagi prefecture? Each one of them is attractive, isn’t it? There are many more places in which you will be fascinated. When you appreciate the beautiful nature both on the land and in the sea, bathing in the hot-spring, tasting the delicious dishes and spending a relaxed time, your day to day fatigue will be blown away. Please enjoy the Miyagi prefecture!